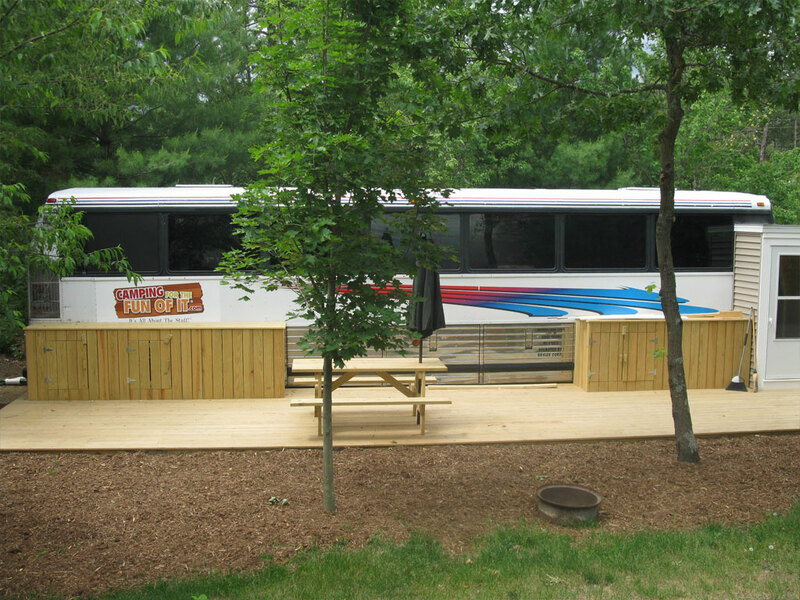 Camp like a Rock Star! 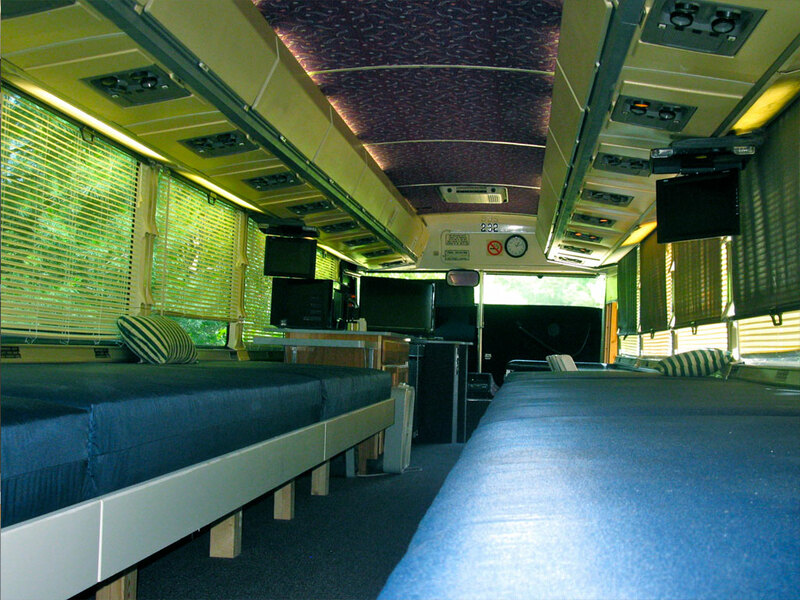 Coach bus sleeps a family of 6 (4 Adults Max). 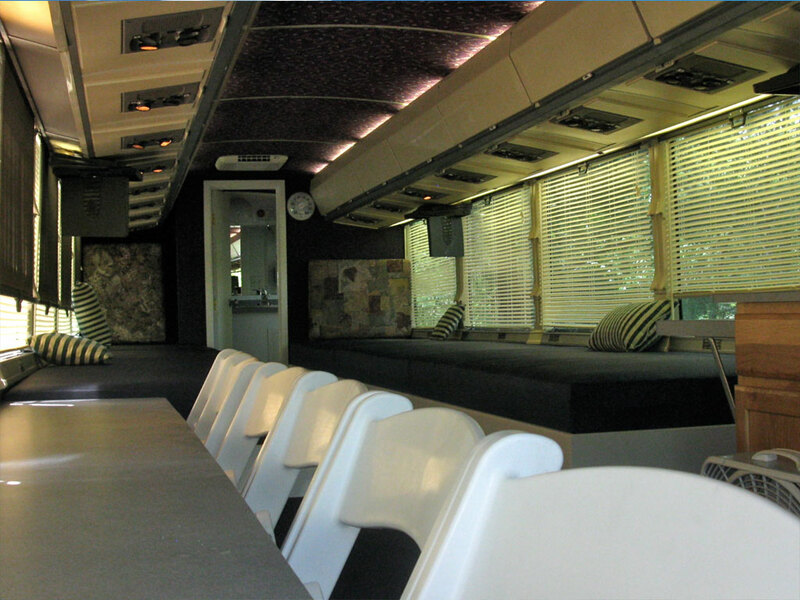 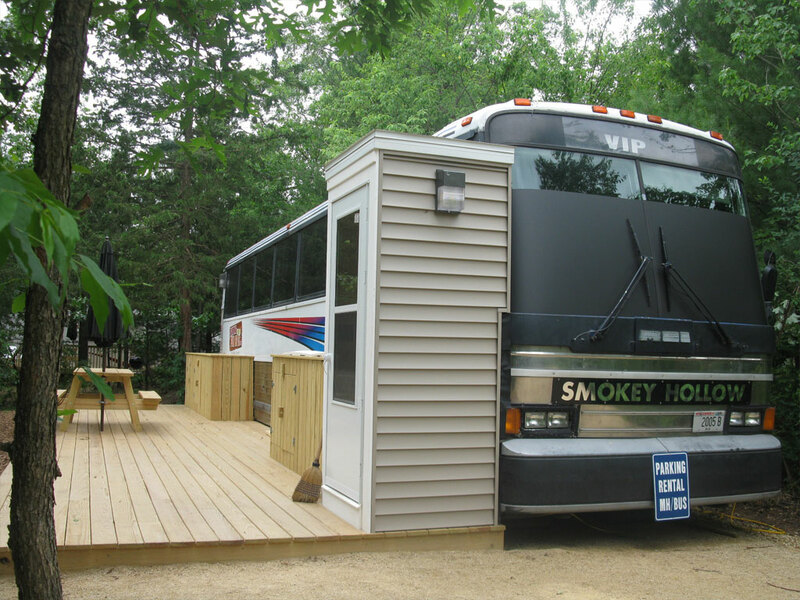 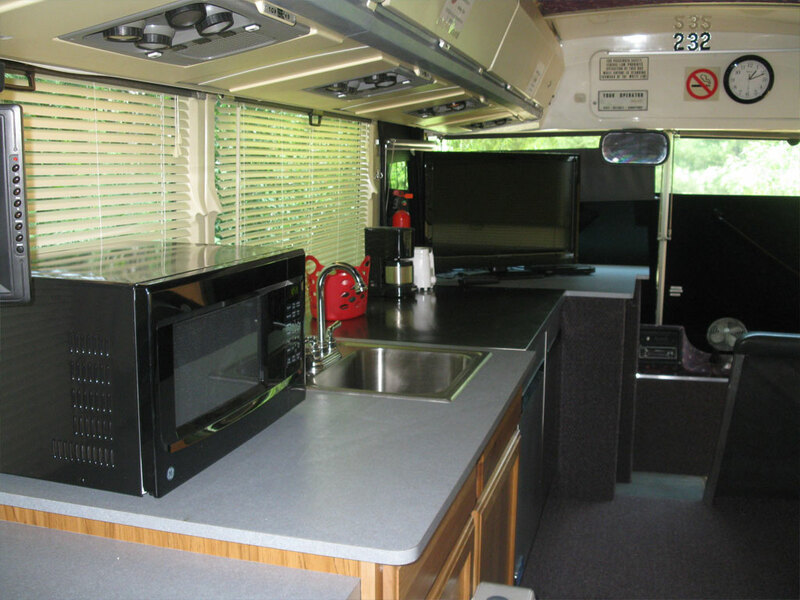 The bus features: full bath, deck, A/C, DVD players, microwave, refrigerator, coffee pot, toaster, picnic table, charcoal grill, and fire ring.